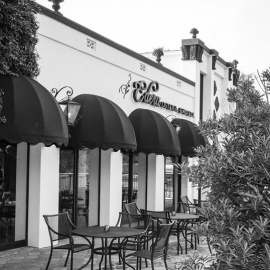 We welcome you to investigate our present day Italian cooking, fused with old-world Spanish and Mediterranean influences and become a part of our Edera family. 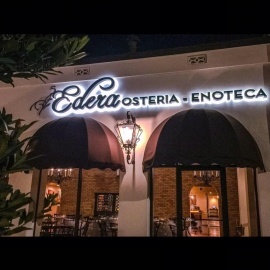 You have our promise that a night at Edera will provide excellent service, quality food, and great family atmosphere. Edera is the Italian word for Ivy. The name calls out our beautiful Texas Persimmon and the Fig Ivy growing along side the building. More importantly, the Ivy, Edera, represents the strong and enduring Family Bond we offer you as our patron.